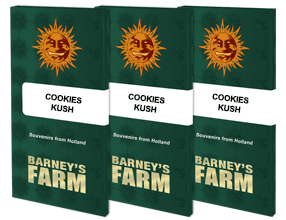 The Barney's Farm seed bank and the Barneys Farm laboratory have been collaborating since 2013, specialising in the research of cannabinoids and terpenes to identify new cannabis seed strains. 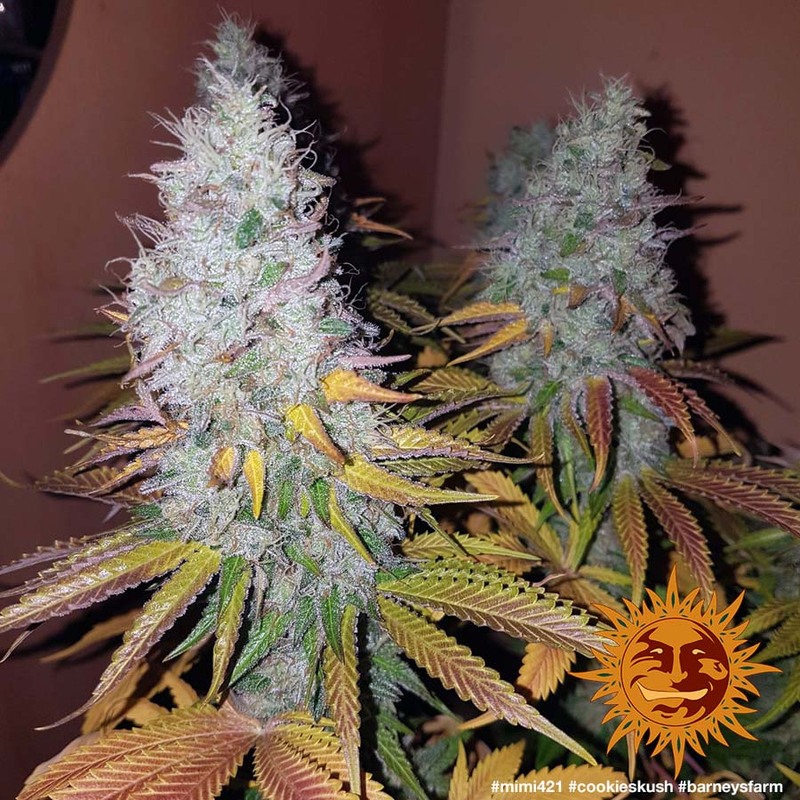 COOKIES KUSH was one of the first varieties in which the laboratory technicians worked closely with our Barney's Farm breeders, to (create) (or) (create and stabilize ) this amazing new strain.. 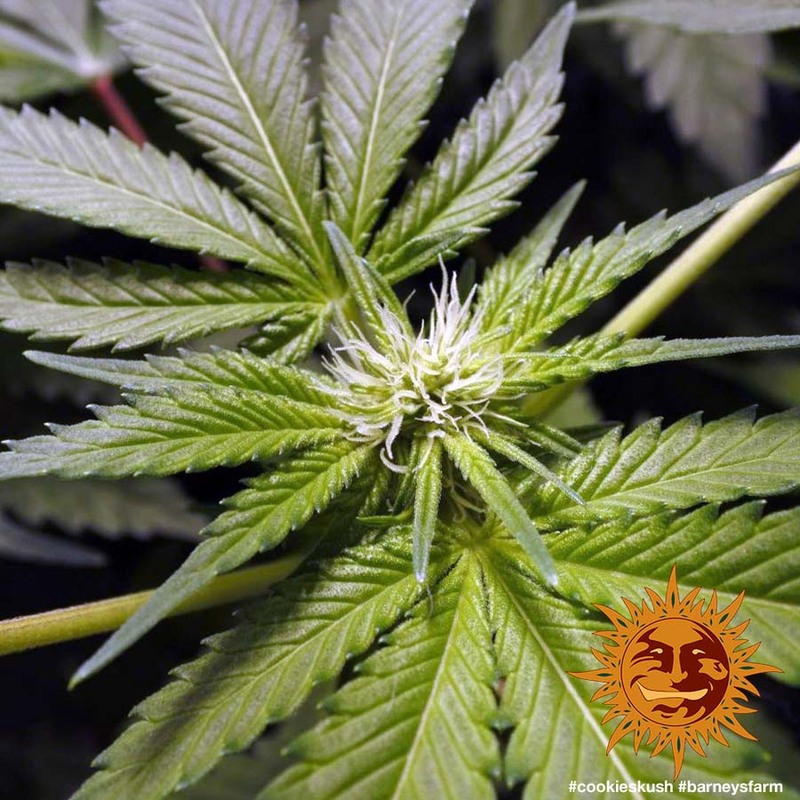 Cookies Kush is a variety created from Girl Scout Cookies and the "Rolex" OG Kush. 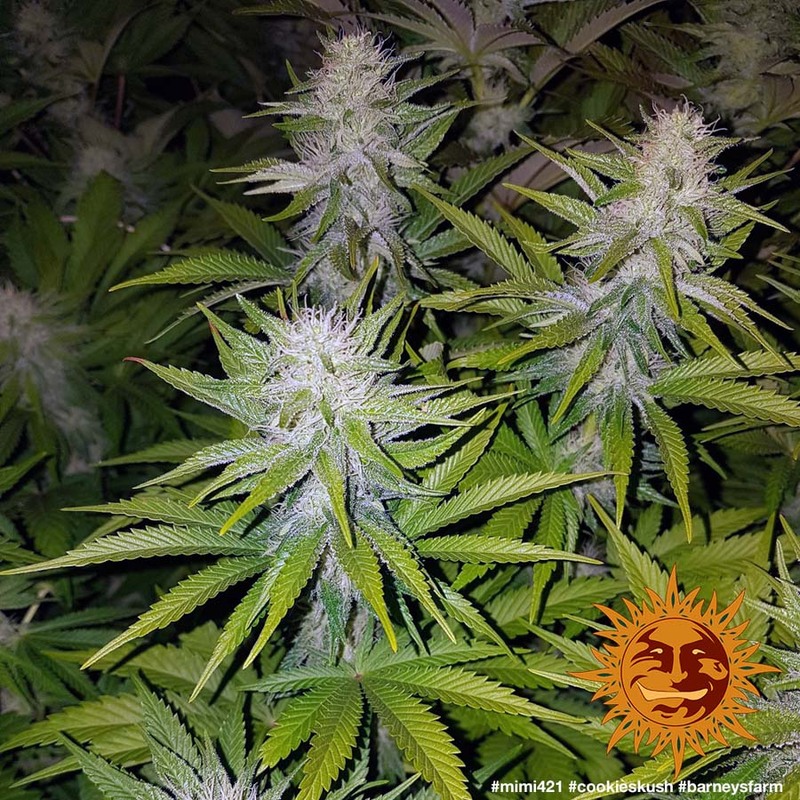 The characteristics that Barney's Farm desired when creating Cookies Kush were high levels of THC, low CBD, high production and the unmistakable Kush flavor with the special scent of Girl Scout Cookies and a maximum flowering time of 60 days. 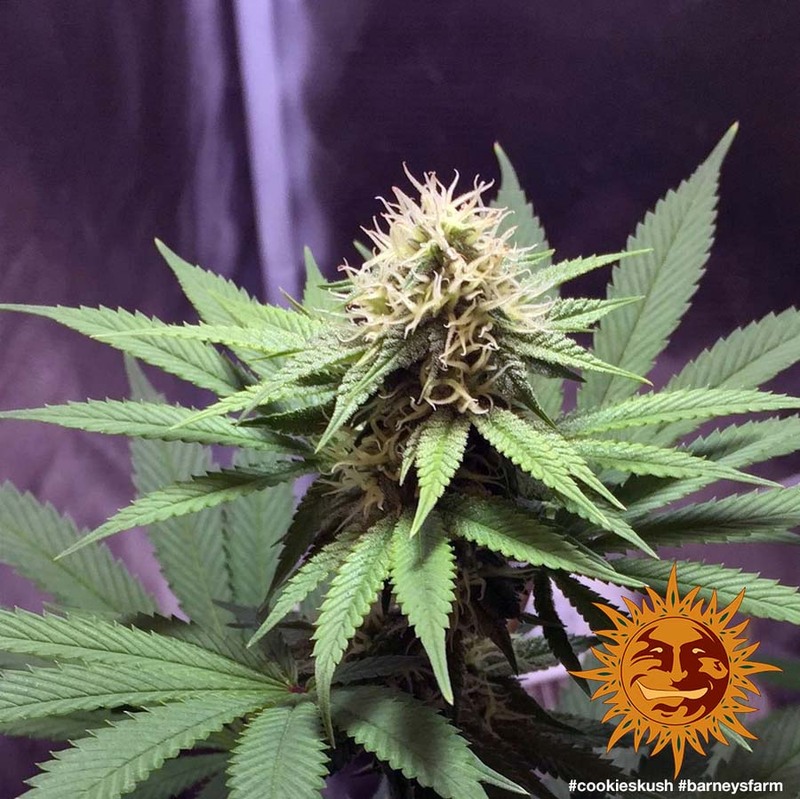 We identified a "Rolex" OG Kush elite clone, which we selected as the father after analysing its flowers. We verified its potential to consistently produce THC levels of 26.43% and CBD of 0.37%. 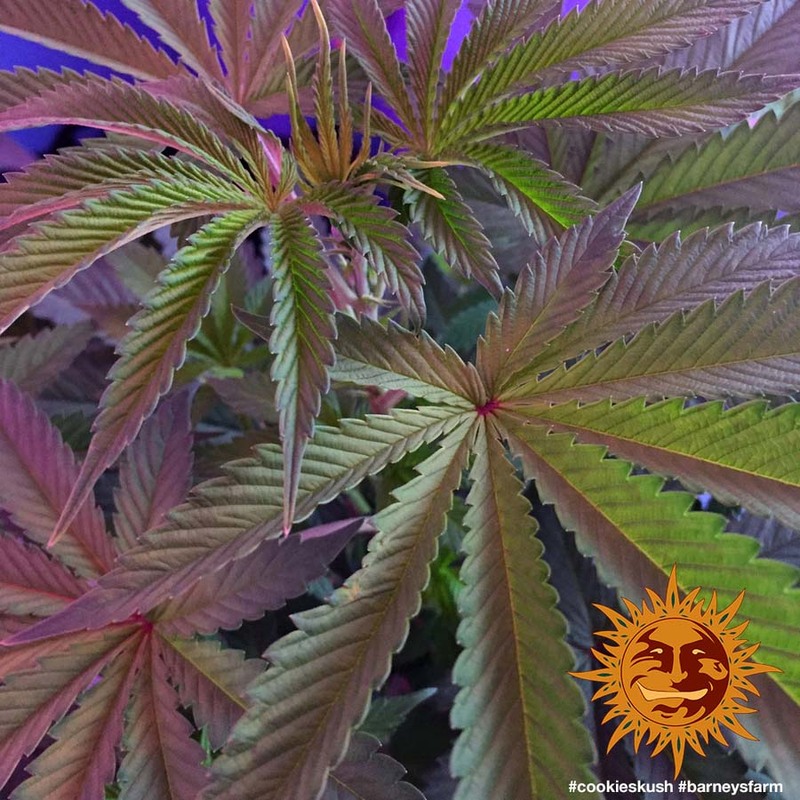 To choose the Girl Scout Cookies “Mother”, we resumed testing on our selection of individual clones, previously selected due to their impressive organoleptic characteristics, vigor and production potential. 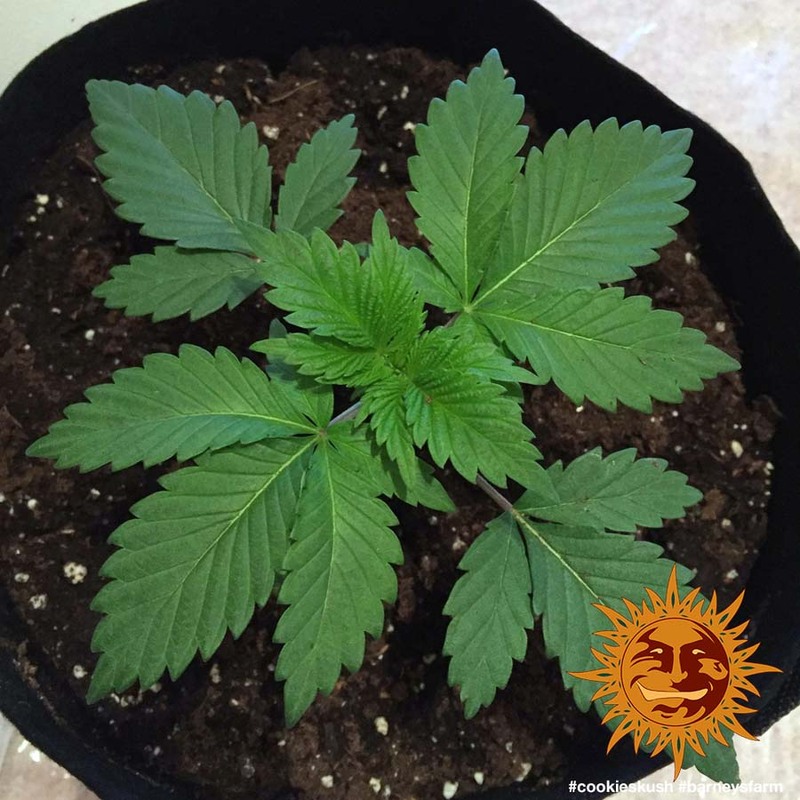 • In THCV and CBN we can observe low and similar values among the different clones. 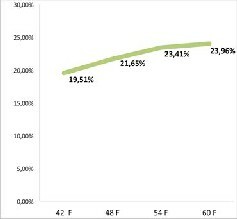 • In CBD only two clones exceed 0.5%, in fact, exceed 1%. These were selected and the remaining eliminated from the selection process. In image No2 you can see that the THC levels all exceed 20%, with four of them exceeding 24%. Reviewing the results obtained by our Lab technicians, we discarded the Girl Scout Cookies phenotype's that did not reach 21% of THC or exceeded 0.5% of CBD. The final selection was then made based upon the aroma, flavor and the production potential. 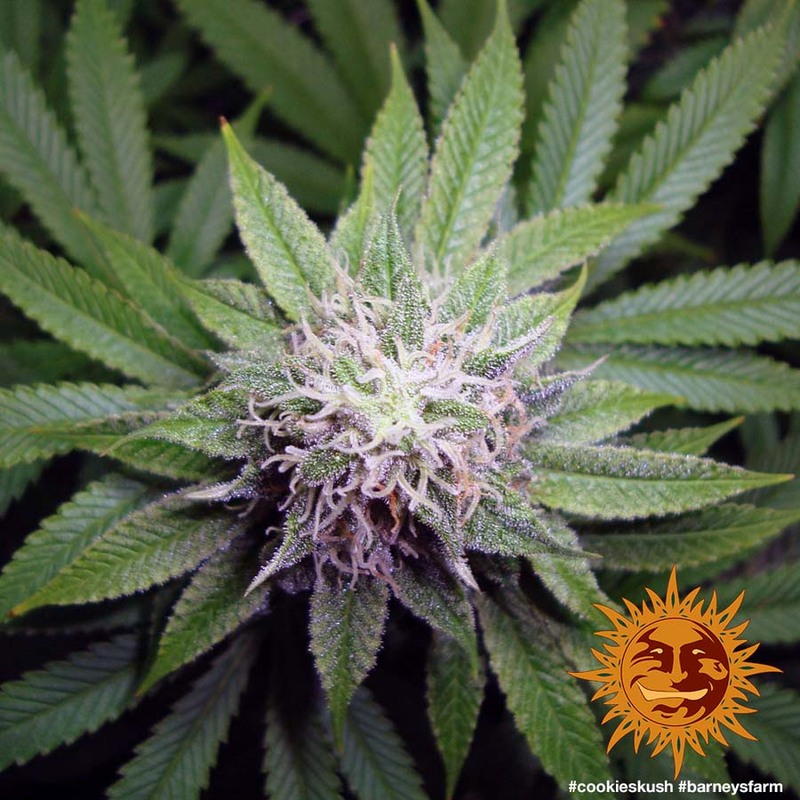 After the selection process; the Girl Scout Cookies are then pollinated with our "Rolex" OG Kush male. The next stage with the resulting seeds was to perform extensive germination tests, to ensure 100% germination success. 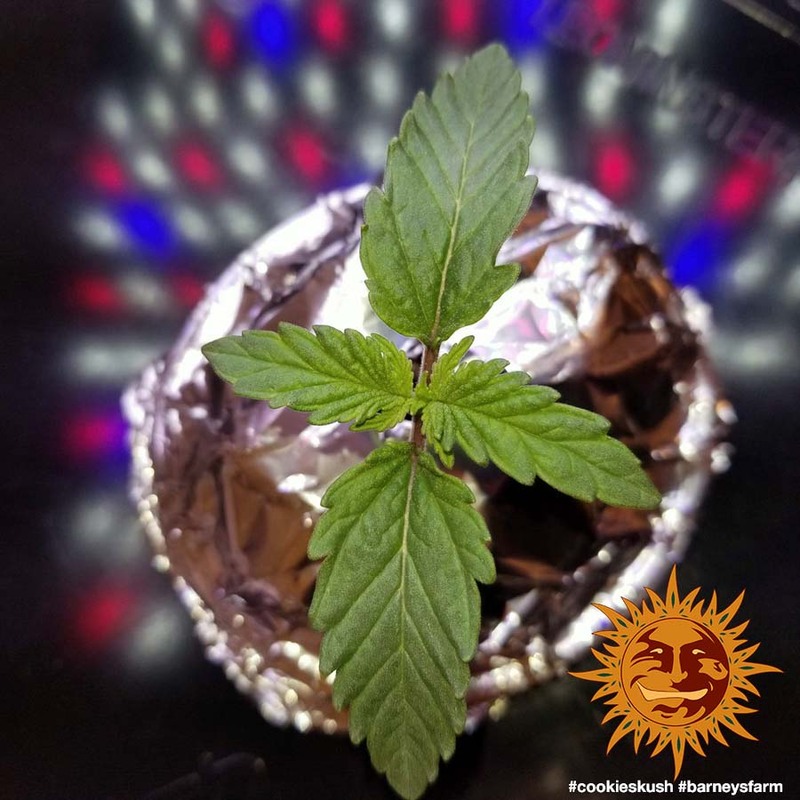 After germinating; the first Cookies Kush are kept in a photoperiod 18/6 for 12 days then go into a photoperiod of 12/12. We began to collect samples on day 42 of flowering and continued until day 63 - harvest day for the first crop of our cookies Kush. In image No 3, you can see the results from the samples collected on days 42, 49, 56 and day 63 of flowering. 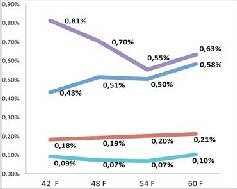 In image No 4, you can clearly see the development of THC levels. From day 42 to day 49 the THC levels increased by 10.9%, from day 49 to day 56 the THC increased by another 8.1%. 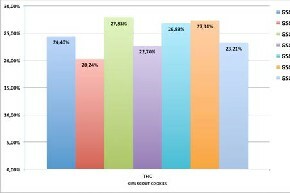 Finally, from day 56 to day 63 the THC increased a further 2.3%. In image No 5, we can see the evolution of the rest of cannabinoids analyzed including CBD, with a maximum CBD level of 0.21% which is perfectly within the targeted parameters. Our breeders have been working closely with the laboratory and taking advantage of new scientific equipment that has never been used in cannabis breeding until now. This is the first in a series of articles planned and created by the laboratory technicians in collaboration with Barney’s Farm.